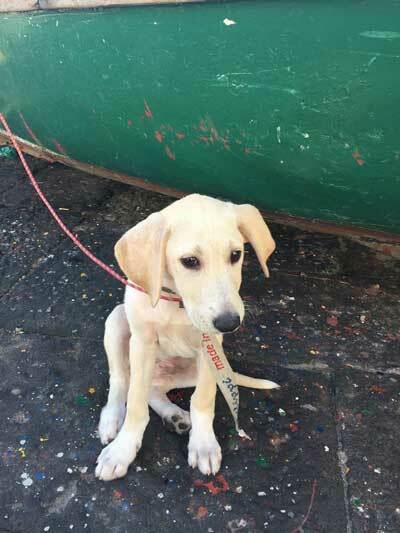 A young labrador puppy that fell overboard from a ferry off the coast of Italy was rescued by some passing sailors. 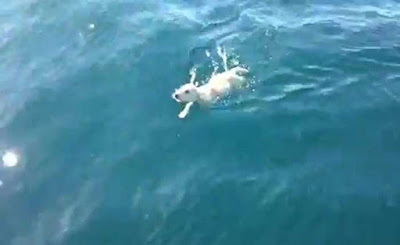 Members of the Sailing Club of Savoy, out at sea for a race, two miles from the port of Naples spotted the young puppy swimming desperately. The sailors then recovered the puppy, pulling it to safely. 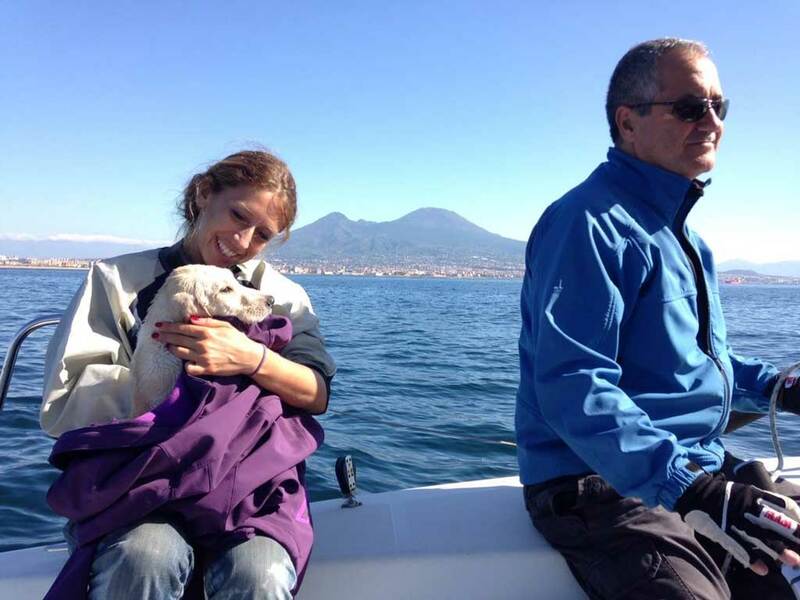 On returning to port, they discovered that earlier that morning the puppy, whose name is Noodle, had been reported as having fallen overboard during a ferry ride from Naples to the island of Ischia. 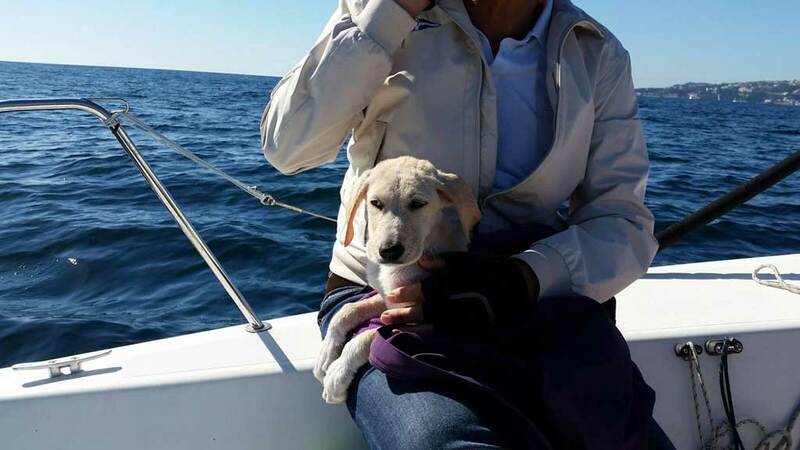 The puppy's owner, Mario Di Meglio, says he was in the process of taking his new pet home when he slipped out of his lead and fell overboard. He immediately alerted the ferry's crew, but, Meglio said, they refused to stop, saying that Noodle had probably already drowned. 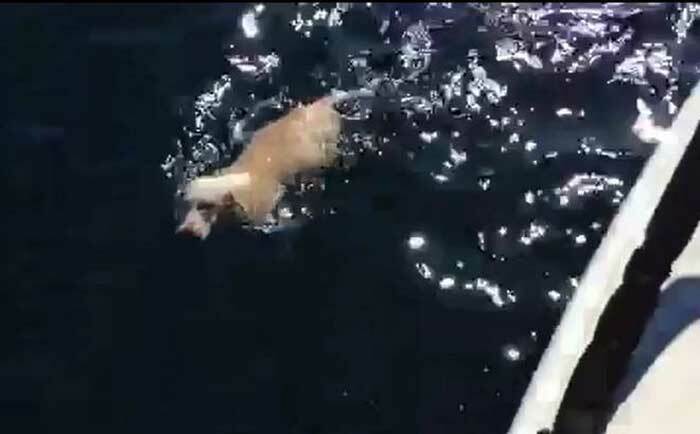 Fortunately, the sailors found him. Noodle was then reunited with Meglio and is doing well. I don't speak Italian but the video showed kindness is an international language.